Cecarelli Farms has been in the family for 106 years. 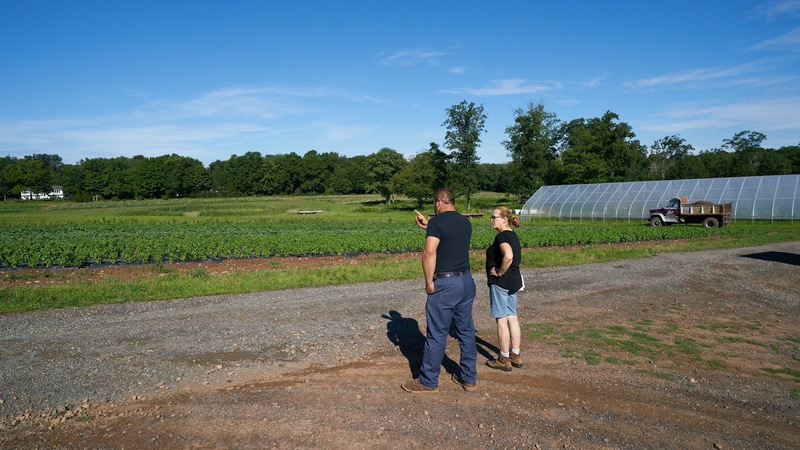 The Cecarelli brothers came from Italy to grow vegetables, they found the perfect property in Northford that was for sale. The owners were using it for raise some cows and had planted a few fruit trees. Even in those days there was prejudice against immigrants - back then it was the Italians or the Irish; they were refused the sale. 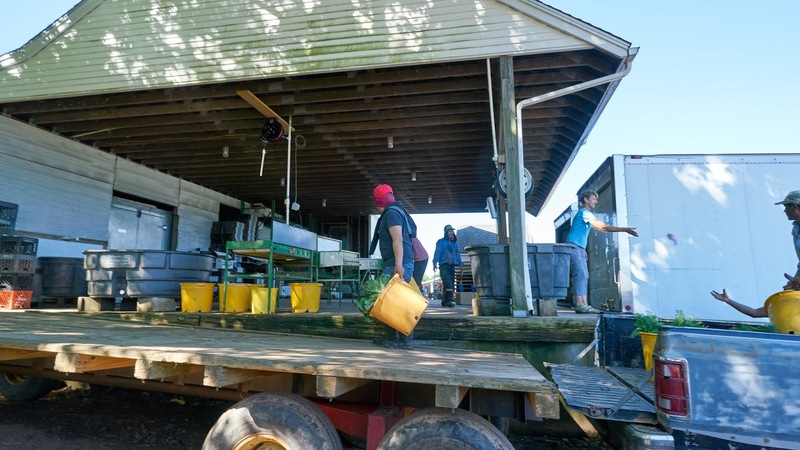 A family friend, a doctor, stepped up and purchased the property for them and the brothers worked the farm together for many years. Raising their families here, each generation kept the farm going. 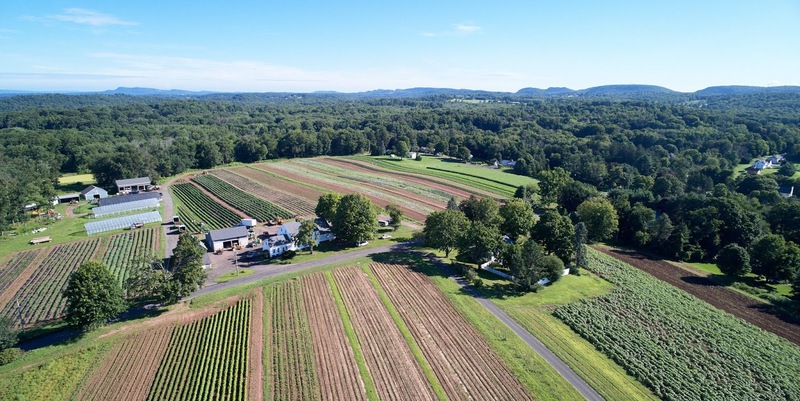 Nelson Cecarelli inherited the farm after his grandfather after he past and worked the farm along with his very successful insurance business since 2002 along with Will Dellacamera. Nelson had taken Will in as a partner three years ago. Will started working at the farm when he was 17 years old during the summers while he attended SUNI in New York, he graduated with a agricultural engineering. Nelson past away this year after battling cancer, leaving the farm to be run by his widow and Dellacamera. You can tell Will loves farming, he's a hands-on boss, doesn't just sit around giving orders, he is part of the farm from start to finish. He starts by planning out what seed to purchase each year and decides which fields to grow them in, he manages about 15 to17 workers each day, makes his own deliveries and you can find him in the fields checking on the plants. He is very involved in the day to day needs of this 200+ acre farm, and it shows. 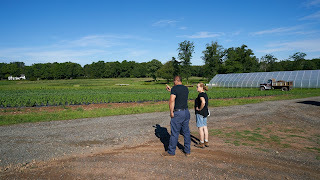 Will showed me where he plans on expanding the strawberry patch, and where he plans on growing blueberries and raspberries next year. They have a farm stand down the hill from the fields by the road and you can find many fresh vegetables available daily. 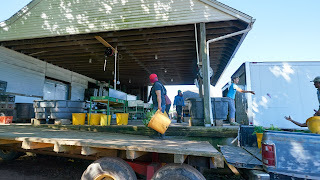 They also sell CSA shares for the weekly pickup at the farm. How to get kids to eat veggies!